The Music Department has twelve practice modules in Old Cabell Hall. Modules are for use by any member of the University community, with preference given to those enrolled in lessons or who participate in ensembles during peak hours (11am-5pm, Monday-Thursday). These rooms are given out on a first-come first-served basis (no reservations ahead of time), and you pick up a module room key in exchange for your UVA I.D. card at the front desk of Old Cabell Hall. 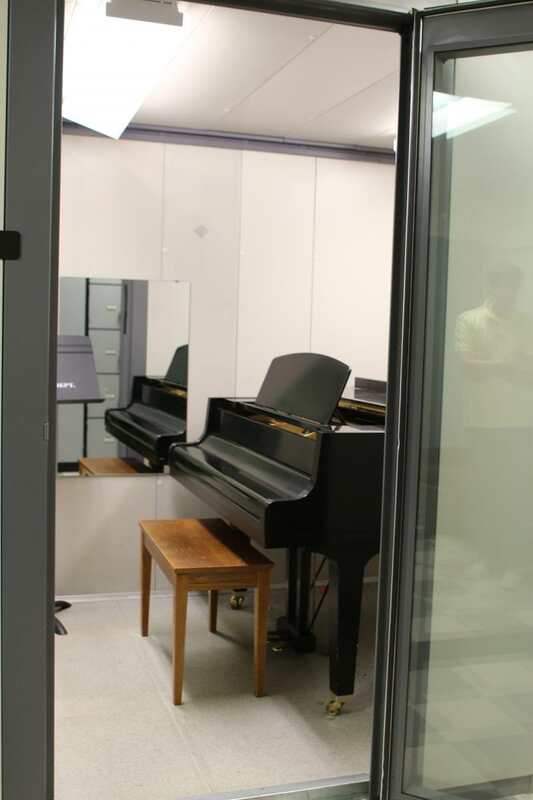 Before you can use the practice rooms, once per academic year you must fill out a Practice Module Contract, either online here or in-person at the front desk of Old Cabell.